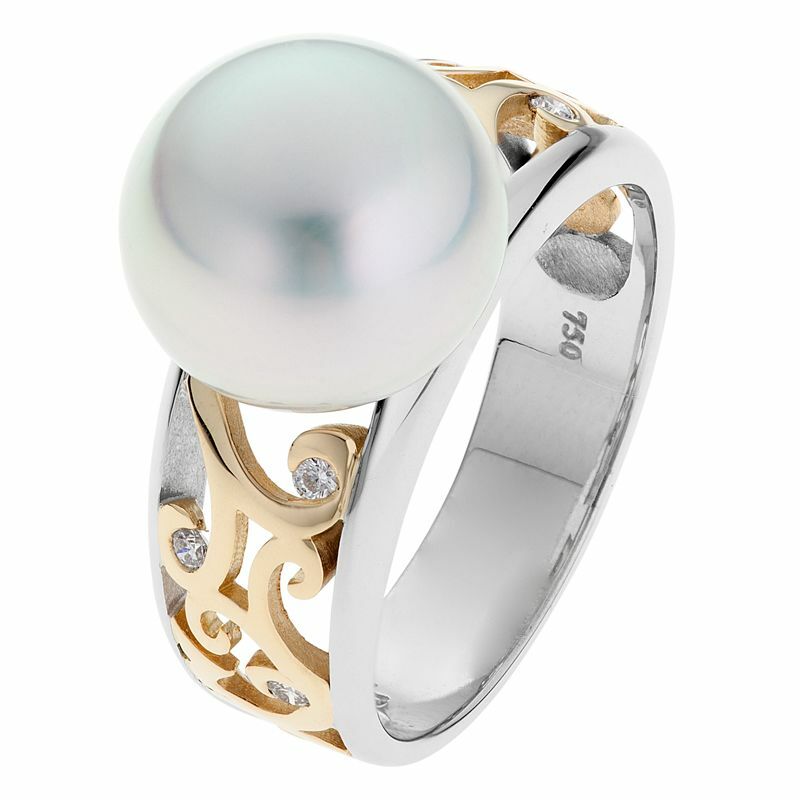 A halo of white gold wraps its way around a beautiful South Sea pearl in this classic ring design. 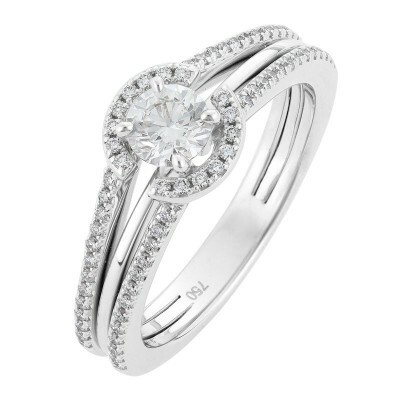 The diamonds highlight the unique pearl featured in this ring and the fine diamond set band adds to the brilliance. The perfect ring for every occasion, as a classy evening ring, or perhaps a unique engagement ring. Which would you prefer? Shop online today and receive special gift-wrapping, free shipping and a lifetime warranty among other great benefits. Spoil your loved one today, pay later interest-free. Dimensions: The band is 13.2mm wide at the top tapering to 2mm wide at the back.